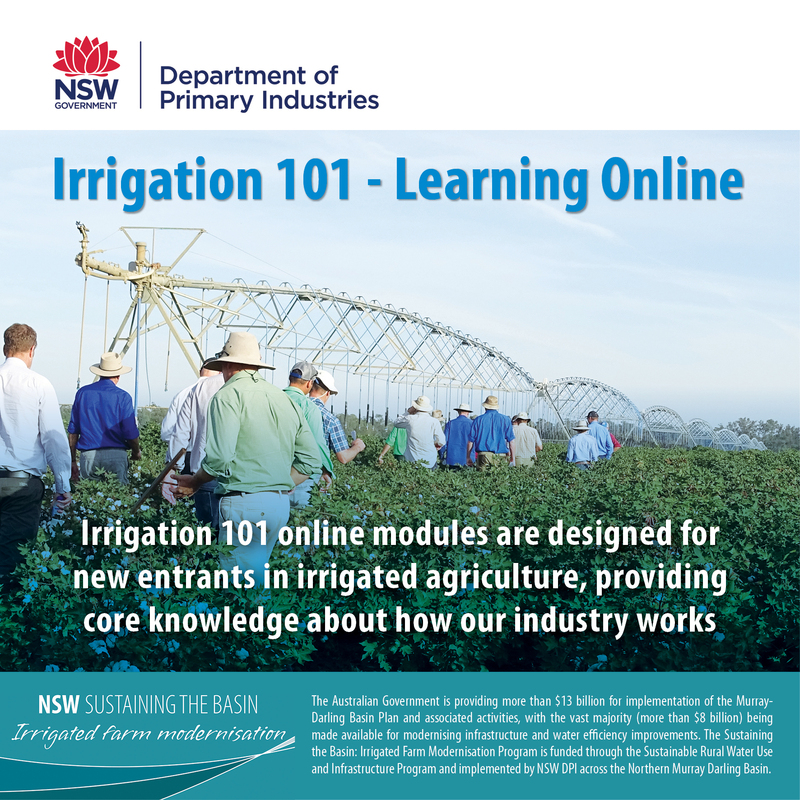 Irrigation 101 is a series of online learning modules about key concepts in the Australian irrigation industry. Each of the ten modules is designed to help new recruits - including on farm employees and others engaging with irrigated agriculture for the first time - gain a better understanding of how irrigation ‘works’. To help irrigators identify where on-farm irrigation water losses occur and quantify those losses, STBIFM have launched an Irrigated Farm Water Use Efficiency Assessment (IFWUEA) training module. Visit the STBIFM training page to learn more. STBIFM supports the delivery of training for the people working in the irrigation industry in the Northern NSW Murray Darling Basin area. Training subsidies are available for courses covering topics such as CPLM, metering, and pumps, subject to eligibility criteria. Subscribe to our Sustaining the Basin: Irrigated Farm Modernisation update bulletins. The Australian Government provides national leadership in water reform.